Enjoy your private resort outdoor space overlooking The Casa, mountain views, and leave lifestyle of the resort collection. Can be turn key with separate furniture package. Highly upgraded both inside and out. Used as a vacation place it's been very lightly lived in.. 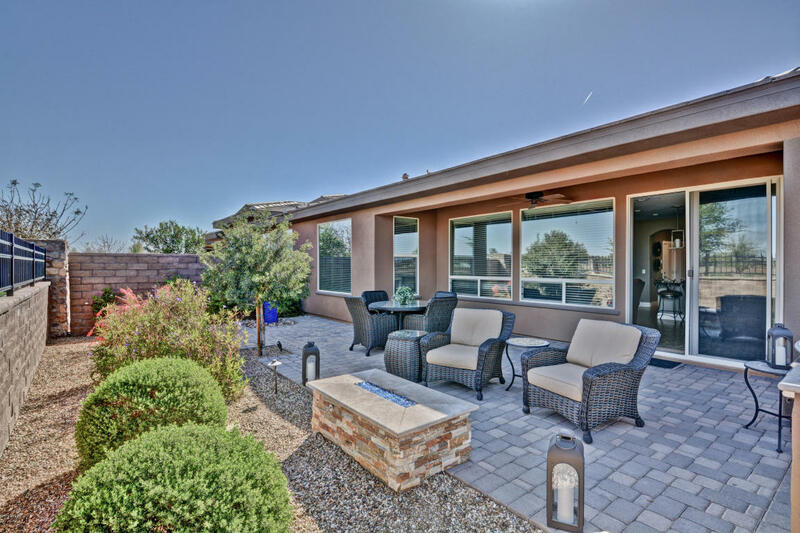 Featuring a built in BBQ, gas fire pit, and custom water feature in your backyard. Inside you will find an open layout with upgrades throughout. Stainless gas appliance package, staggered cabinets, custom back splash, split bedroom plan. Walk to either The Casa or The Algarve. Enjoy all the world class amenities Encanterra has to offer, and best of all lock and leave!